The historic city of Antwerp is the host of the sixth annual Antwerp Diamond Trade Fair (ADTF), to be held February 1 to 3, 2015. Open exclusively to trade professionals, this edition promises to be a glittering event and includes a special festive “Antwerp Diamond Night” on February 1. Organized by the Antwerp World Diamond Centre, the representative of the Antwerp diamond sector, the location of the ADTF could not be more perfect since 84 percent of all rough and 50 percent of all polished diamonds pass through the city. To gain insight into the types of products that visitors can see at the trade fair, CIJ TRENDS & COLOURS spoke with Mike Akiki, Managing Director of Antwerp Cut (antwerpcut.be), a Natural Coloured Diamond Manufacturer since 1989. CIJ TRENDS & COLOURS: Your brand, Antwerp Cut, specializes in natural colour diamonds. Why colour? Mike Akiki: When I started cutting diamonds 26 years ago, I quickly realized that for white diamonds the criteria were clearly defined, very traditional, and “closed.” From my very first encounter with natural colour diamonds, I envisioned the infinite number of possibilities of what could be done with a coloured gem. There was space for creativity and artistic expression. When I set the gems free, I want them to mesmerize, to conquer the eyes and the soul of the one looking at them. It’s the same for jewellery. It is a question of combinations: design and colour led by imagination, talent, and fantasy. 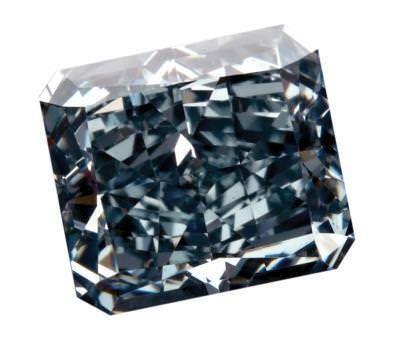 What are the most common natural colour diamonds, and the most rare? Yellow is the most common colour. 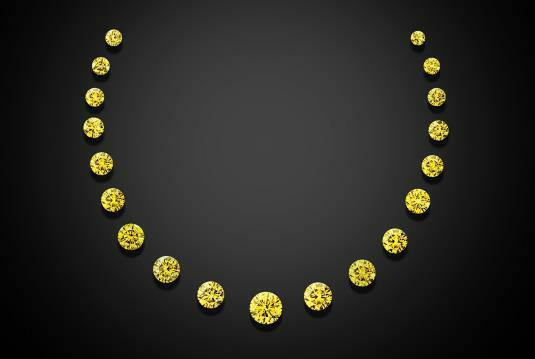 A very small percentage of natural yellow diamonds have a superior tone and saturation. Sourced from the Zimmi mine in Sierra Leone, these natural yellows present a level of saturation that sets them apart from the ordinary gems. They are among the very few natural colour diamonds that can be cut into traditional round brilliants while keeping a superior level of colour. It took me years to collect more than 20 round brilliant-cut Zimmi diamonds to create a oneof- a-kind layout that we will showcase at the ADTF. In my opinion, the rarest natural colour diamonds are the violet, purple, and orange hues, although red diamonds are highly prized by collectors. Size aside, a “white” diamond is often valued by how colourless it is. What determines the value of a coloured diamond? 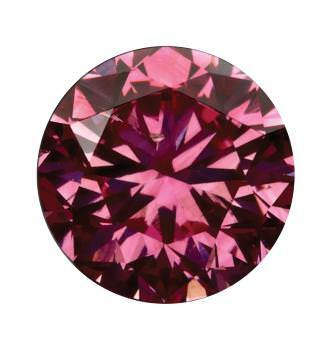 Two main criteria determine the value of natural colour diamonds. First is the rarity, and second is related to the hue, tone, and saturation of the stone’s colour. As opposed to white diamonds where less colour is better, in natural colour diamonds, more colour is better. Is there a difference in the way a natural colour diamond is cut compared to a white diamond? White diamonds are mostly cut to match the specific criteria of the 4 C’s. When I cut a natural colour diamond, my main guideline is colour. It’s a very natural and organic process where I complete a stone’s journey by making the right combination between colour and cut. Each natural colour diamond has its own intricacies and needs. Patience, respect and passion are my strongest allies. Without them, I could never achieve the level of beauty, intensity, and magic that I want for my stones. Who is the target buyer of natural colour diamonds? Everyone! Colour impacts our world, our life, every day, all day. The taste and demand for natural colour diamonds is growing and, despite the impressive prices realized at the auctions, there is a natural colour diamond for everyone! As in fashion, natural colour diamonds are a beautiful means of self-expression. You have been exhibiting at the ADTF since its origin. How do y ou find it as a venue for showcasing your stones? Today, Antwerp Cut showcases one of the most important inventories of natural colour diamonds in Antwerp. Since no two are alike, “seeing is believing,” which is why trade fairs are essential. The ADTF offers its visitors the opportunty to see 90 qualified exhibitors in one place and to buy directly from the source in a comfortable and upscale atmosphere. The city is strategically located, a train ride away from Paris and London, and is a convenient stop for buyers after the Vicenza trade fair. The ADTF organizers have shown great care over the past years to improve and evolve with the needs of both the exhibitors and the buyers, including offering three nights accommodation for first-time overseas buyers, as well as transfers from nearby airports and train stations to the show. Editor’s Note: Entry to the ADTF is strictly by-invitation-only. Invitations must be obtained directly from the organizer, either by recommendation from one of the exhibitors or by registering at antwerpdiamondfair.com. All buyers must produce verifiable documentation that they are qualified members of the gem and jewellery trade.